My wife and I recently took a quick little vacation to Prince Edward Island. 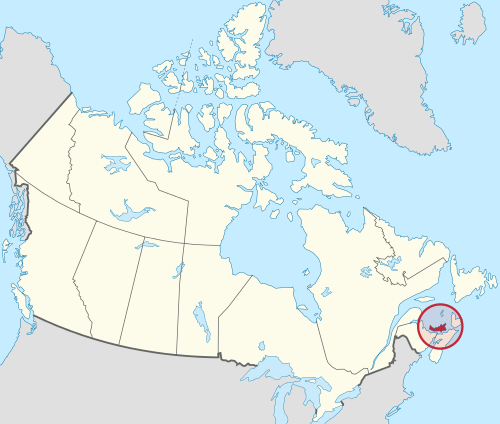 Prince Edward Island (PEI) is Canada’s smallest province — it’s a 2,170 square mile island of just 140,000 people located on Canada’s east coast. 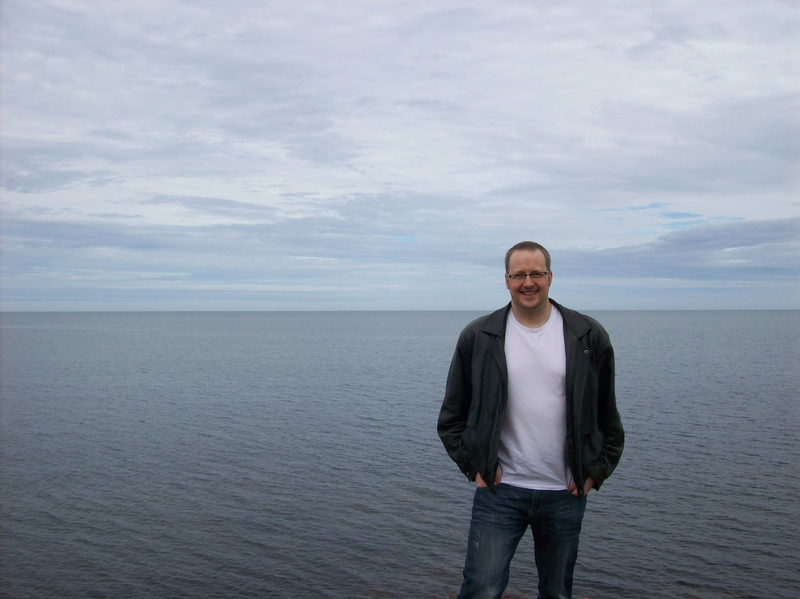 If you’ve ever heard of Anne of Green Gables, that story is set on PEI. It’s also the “birthplace of Confederation” because it was the location of a meeting in 1864 between representatives of different areas of Canada that eventually led to Canada becoming its own country. We had a great time! Our flight took us into Charlottetown (the capital city) and our friends picked us up and we drove the 30 minutes or so to their home in Georgetown (which is located on the east coast of PEI). The weather was amazing and the fall colors had just started to appear in the trees. Throughout the week, Janelle and I and our friends fished for mackerel, dug clams and cooked them, danced in a ceilidh (pronounced “kay-lee”; it’s a traditional Scottish/Irish dance), explored the historic buildings of Georgetown, walked around the buildings that the Anne of Green Gables author grew up in, and walked around the historic streets of Charlottetown (including the very room where Confederation was signed)… and more! 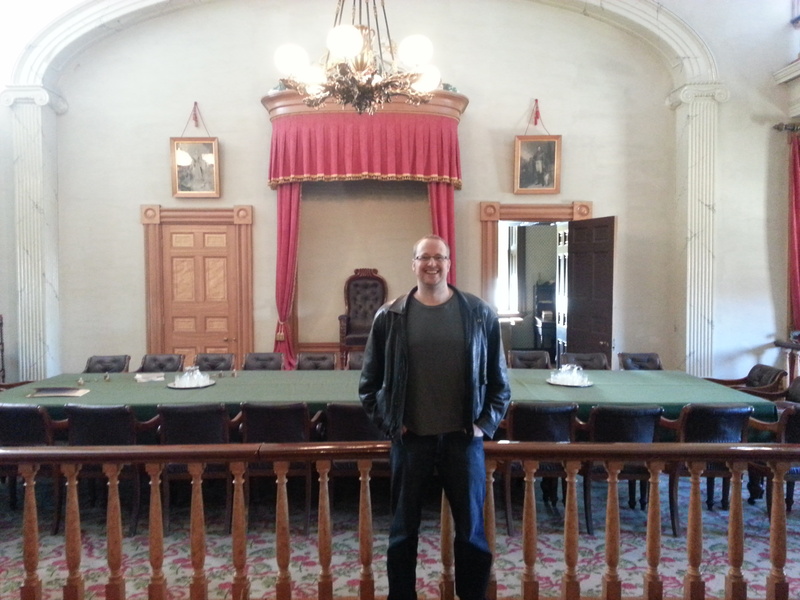 Here I am in the Confederation Room — the actual room where the Canadian Confederation was signed in 1864. 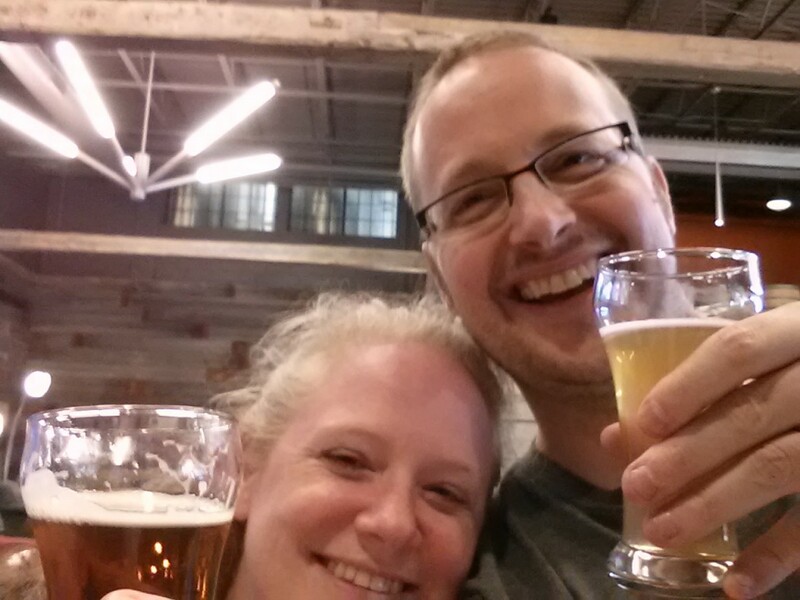 Here is my wife and I on a tour of The Prince Edward Island Brewing Company. They have an amazing growth story… and the beer is good too! In this picture, Janelle is drinking a seasonal pumpkin ale and I’m drinking a blueberry ale. I’m excited to hear that they are planning a Canada-wide distribution starting in 2014! And this handsome fellow is blocking an amazing view of the ocean. 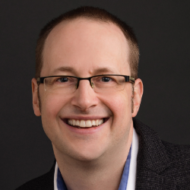 I never travel anywhere without seeing really cool opportunities for new brands and businesses, or spotting interesting business ideas and strategies to adopt. Land is ridiculously cheap around Georgetown, partly as a government-legislated way to attract people to the area but partly because of market forces. Frankly, it’s hard to find year-round work in some of the coastal towns. The main industries are potato farming, fishing, and tourism (not necessarily in that order), although there might be additional shipbuilding industries in the future. But as you can imagine, these three main industries are very dependent on the weather, which means they can’t operate from late fall to early spring. So housing is a huge opportunity if you can buy cheap land, build houses, and rent them out — especially if you’re willing to allow less-than-one-year tenants. Tourism is huge and while in Georgetown we ate at the Maroon Pig Art Gallery and Sweet Shop (we ate the pizza!). It was a great little spot overlooking the water, with really good artwork. And at the risk of annoying the owners of this place, I think there is some cool opportunity for others who can offer something similar — a trendy place for visitors to shop and eat. 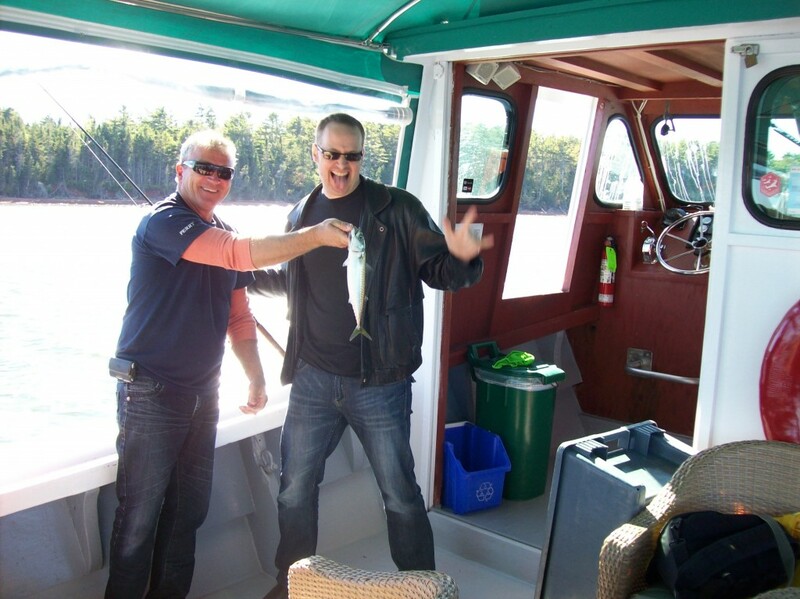 While visiting Georgetown we went on a boat (pictured above with my massive mackerel catch). It was a 2-3 hour tour around the area, showing us how lobsters, crabs, mussels, and mackerel are caught, and then we fished for mackerel and barbecued them up on the boat before returning to land. It was a memorable time and I heard that the same boat tour also offers yoga on the water (presumably they take people out on the boat to do yoga). There is a ton of opportunity here, not just for tours that are so seafood focused but also historical ones. My wife and I would have loved to learn more about the harbor area and the role it played in the history of the area. There are also hundreds of shipwrecks in the area (dating back to the 1800’s) and we would have loved to sail around where some of those ships have sunk. PEI is a beautiful place, year-round but especially in the fall, and I think there is a huge opportunity here for someone to run an art destination… maybe something like a bed and breakfast art studio with a bit of land and tours around the island — stuff for painters and photographers. I can see this being an ideal investment for retired people with some artistic skills. Our friends tell us that winters are short (for Canada) but can be very grey and there isn’t a lot to do since the island is so tied to the spring/summer/fall seasons. So if you want year-round customers, consider some fun activities for the locals — paintball, go-karts, arcades, etc. And if you’re looking for an example of a great “home-grown” brewery business model, The Prince Edward Island Brewing Company is a great case study. They started by brewing beer in a restaurant but quickly outgrew that and built up to the point where they are exploring cross-Canada distribution. The restaurant-first craft beer model gave them the ability to perfect their recipe, test flavors and styles, and built brand loyalty before growing. Try their beer… and build your business the same way! 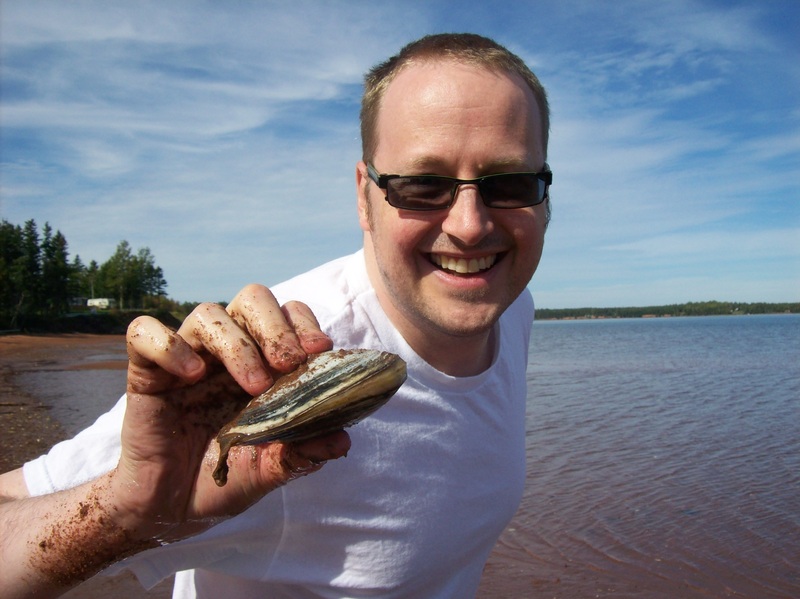 If you’re looking for a fun place to vacation, or if you love seafood, or if you’re looking for an interesting business opportunity, go check out Prince Edward Island!